Redwalls is a home for people who demand the finest environment for quality care in Cheshire. The elegant Edwardian house retains all the style of what was once a fabulous private residence.And the extensive gardens, screened by mature trees and shrubs, are every bit as impressive. No wonder our dedicated staff seldom move on, such is the draw of Redwalls’ serene setting. Explore the services provided at Redwalls, which are designed to make every resident feel at home. Redwalls is a 44-bed nursing home with nearly all rooms having their own toilet and sink.The home has a spacious dining room where families often share meals with the residents, a hairdressing room and an airy conservatory looking out on to gardens where residents can sit and watch the abundant wildlife, including squirrels and doves, or take part in varied activities. The Grade Two listed building has three lounges providing the perfect relaxed environment for residents who can admire the home’s elegant period features. The home and gardens have been designed for easy wheelchair access. Activities are a big part of life at Redlands and as well as a varied programme put on by activities co-ordinator Kath Stubbs, resident enjoy regular trips out whether it is to the shops or regional attractions. A diagnosis of dementia brings with it a very difficult and confusing time for the individual and their loved ones, and it is only natural to feel anxious about moving somewhere new. At Redwalls we ensure that the transition into our care is carefully assessed and managed in order to minimise upset to all concerned. 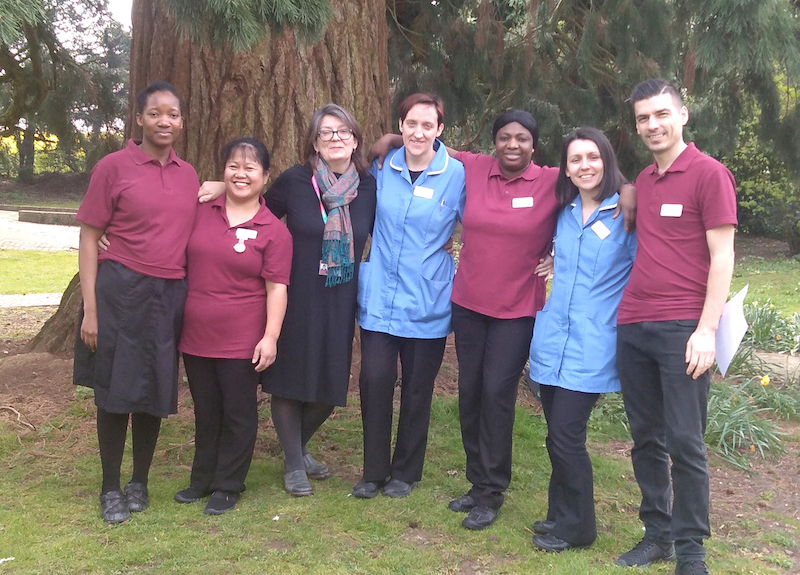 Kingsley’s regional operations director Ian Smallwood said: “We have a tremendous staff team at Redwalls and we are proud that the amazing care they give and the family atmosphere they create is acknowledged in the report. “The inspectors arrived at Redwalls on our manager Doris Howick’s third day in post and it was the difficulties of that transition period that led to some of the issues highlighted in their report. Doris is a strong leader and I can confidently say she has swiftly acted to put those right.